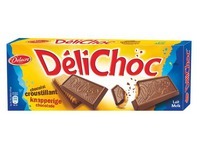 Pack of 3 biscuits Petit Ecolier milk chocolate. Individually packaged. Weight: 37,5 g.